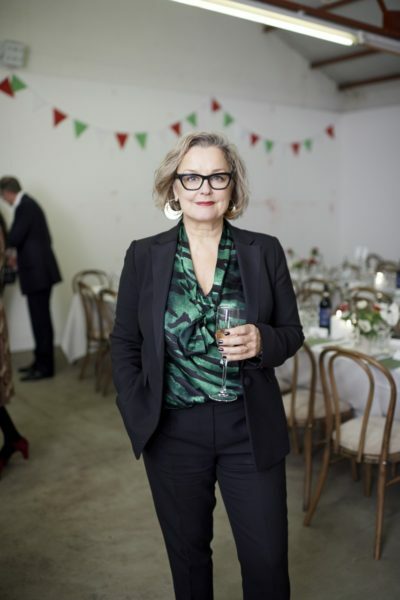 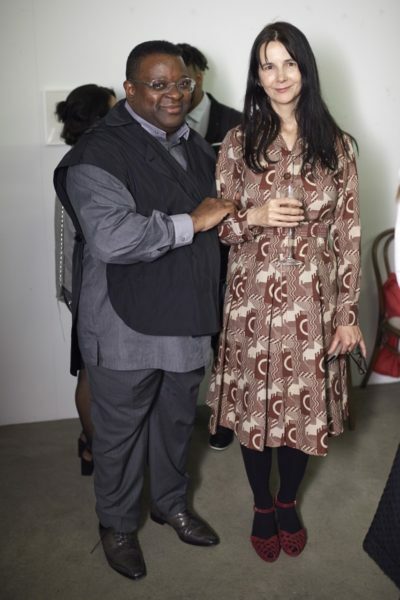 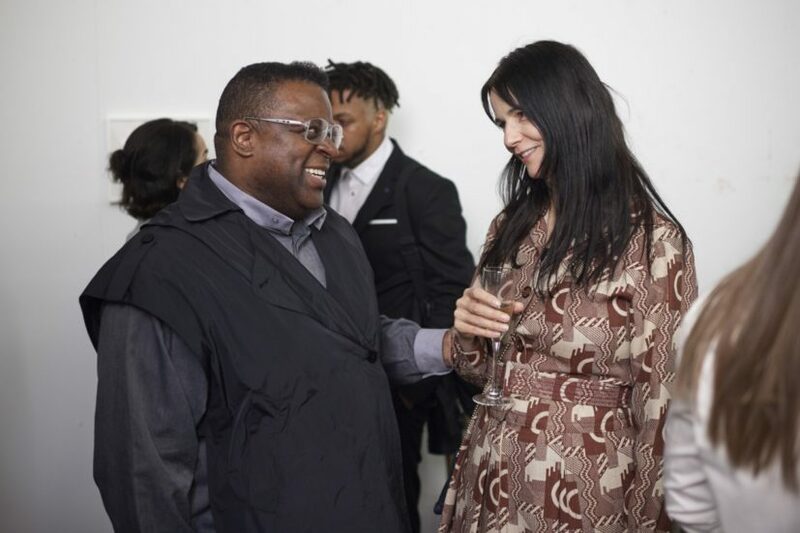 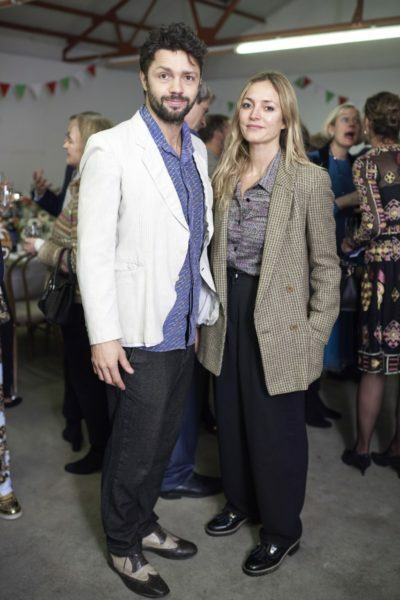 Co-hosted with Contemporary Art Society Trustee Antje Géczy, Gillian Wearing and Michael Landy hosted an intimate dinner at their studio with attendees including Iwona Blazwick, Anya Gallaccio, Isaac Julien and Conrad Shawcross. 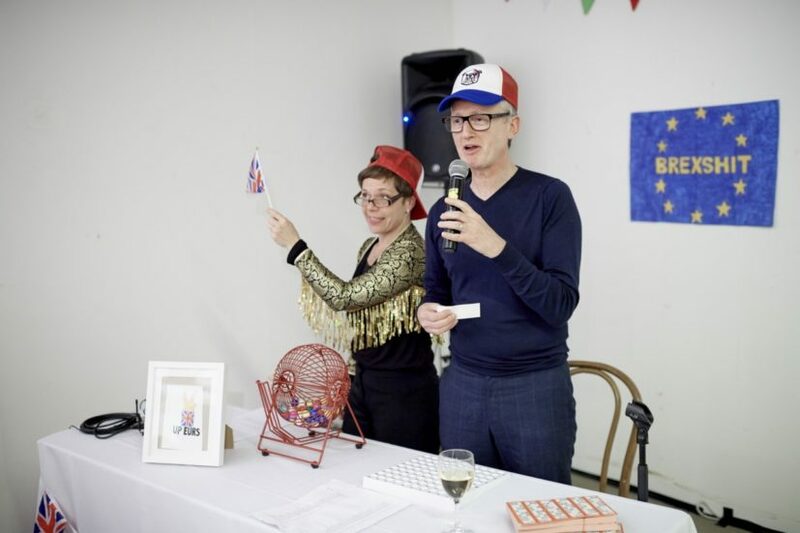 The evening had a “Bingo Hall Chic” theme, which guests threw themselves into. 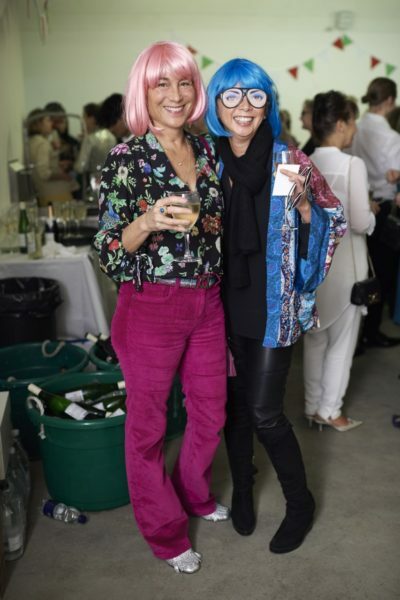 At the artist’s request a stunning vegan dinner was provided by Michelin-recommended restaurant Vanilla Black, with accompanying wines. 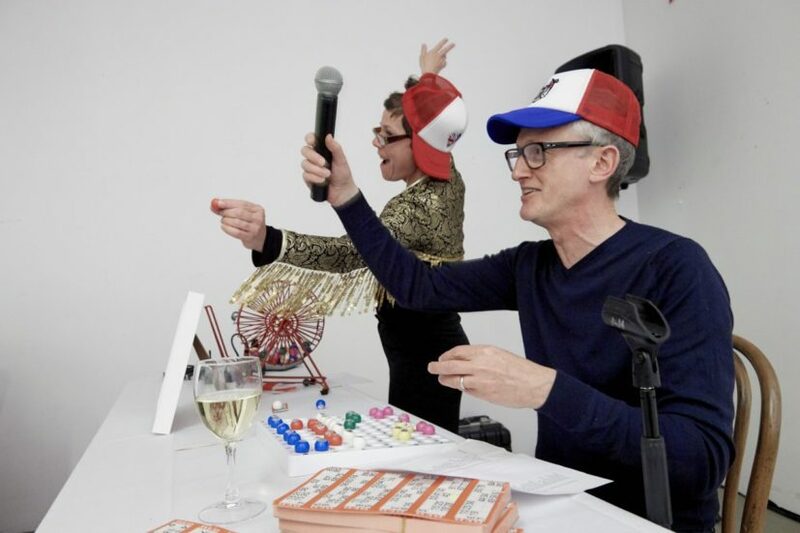 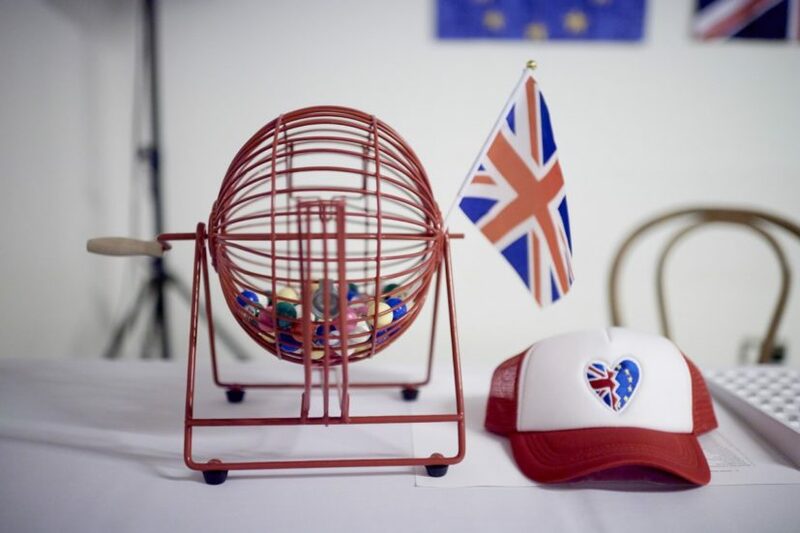 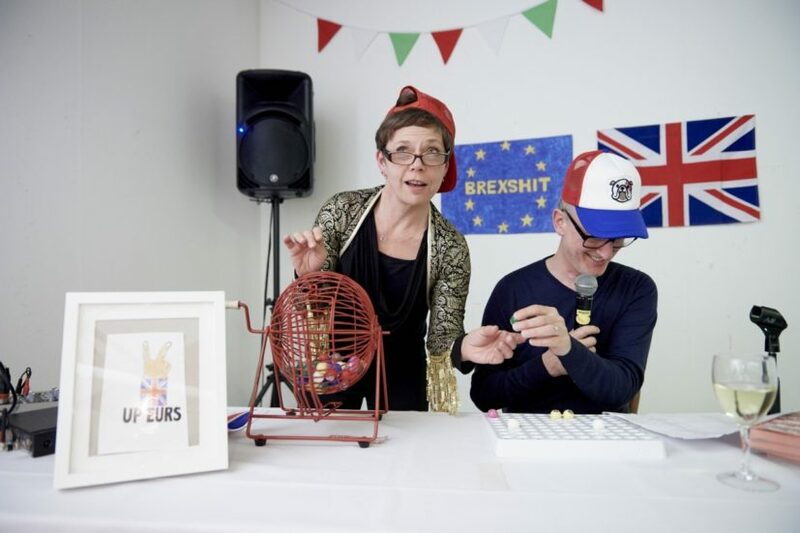 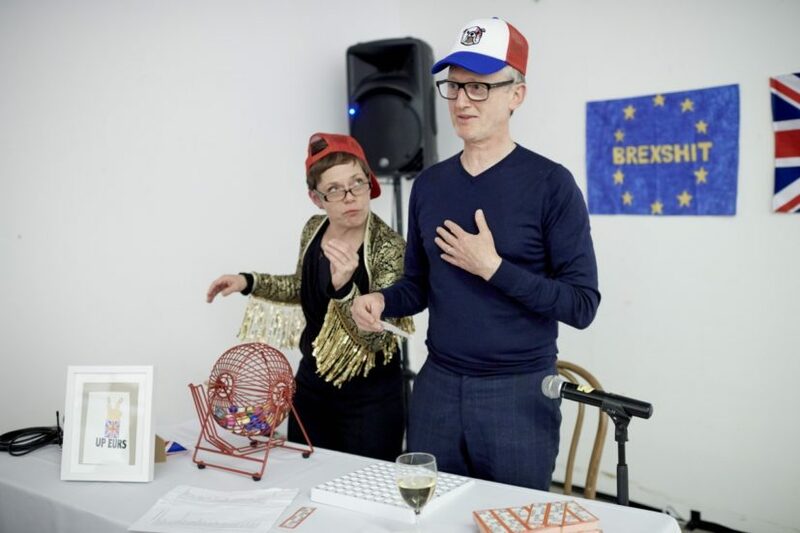 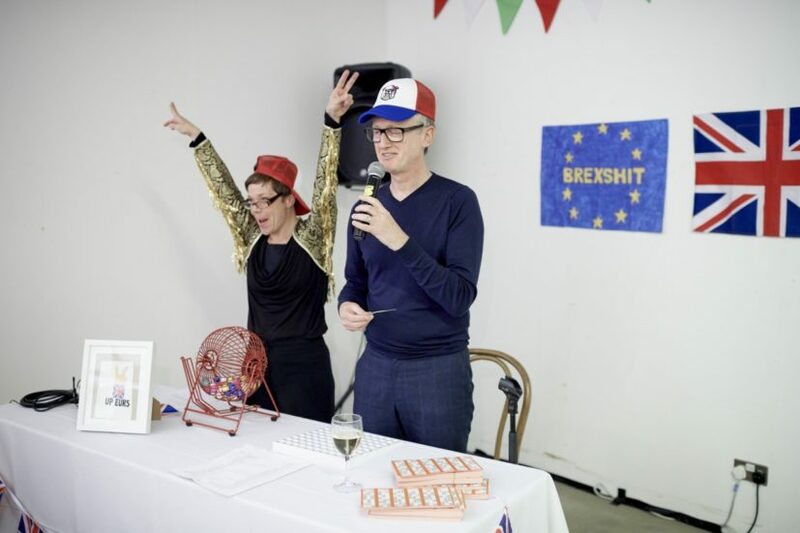 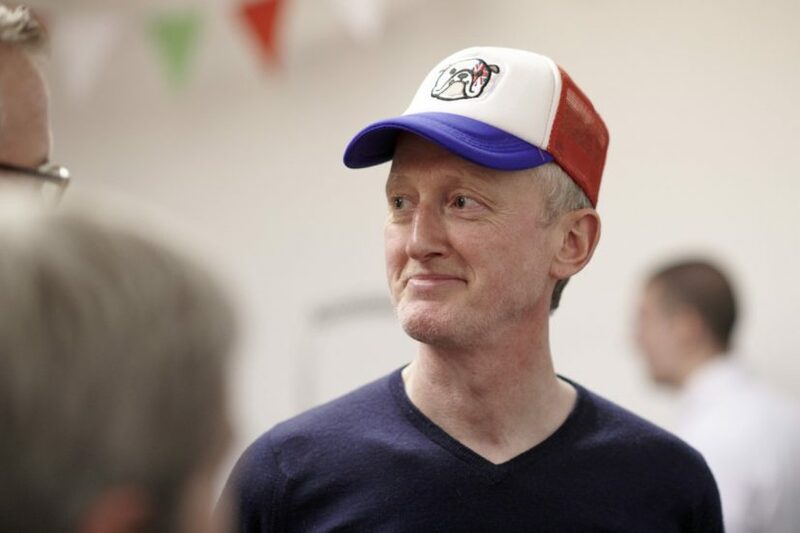 After dinner Michael Landy held a UK premier of “Brexit Bingo”, which he devised for the Riga Biennial this year. 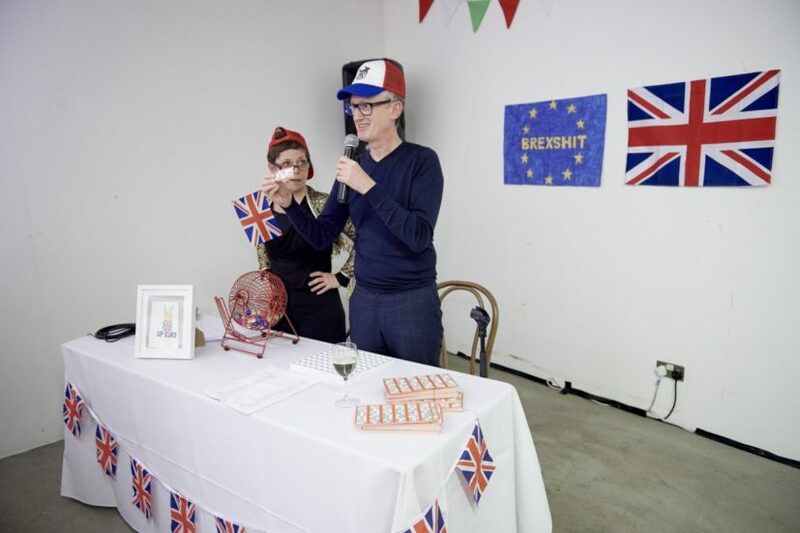 Attendees scrambled to win prizes, all hand-drawn by Landy, which included a number of dry aphorisms related to the Brexit process. 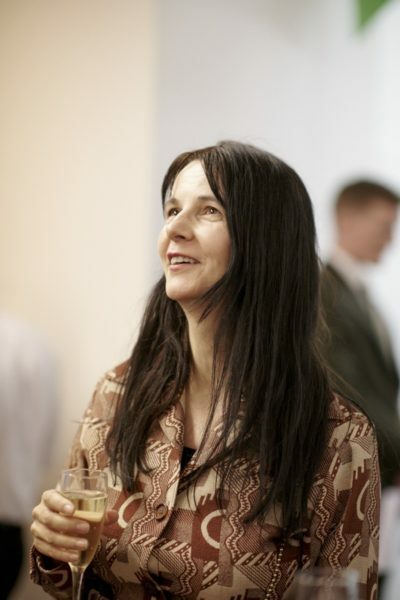 Also on show was a video work by Gillian Wearing, entitled Your Views (2013 – ongoing). 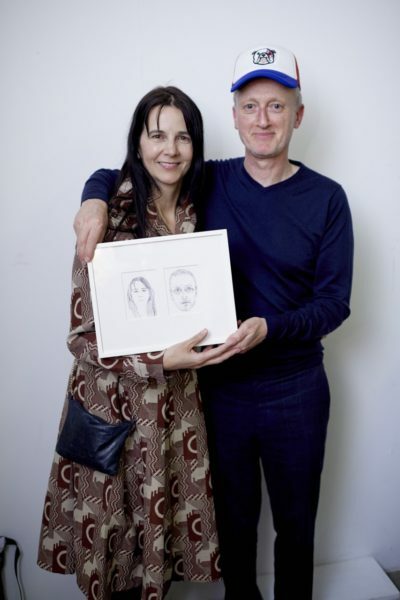 Wearing and Landy created a very special joint edition for sale during the evening, a pair of drawn self-portraits. 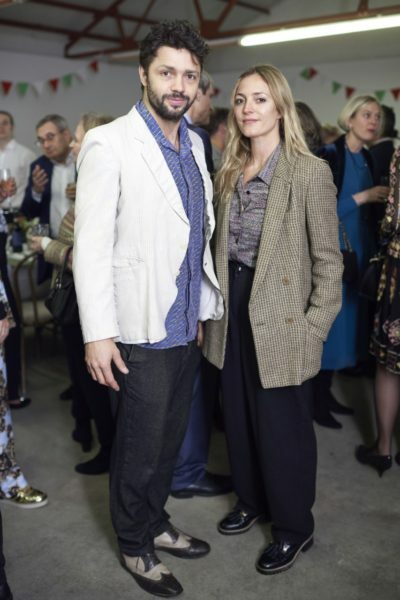 Turner Prize-winning Gillian is of course well-known for her photo-portraits and Michael for drawings, and this edition combines themes from both their practices. 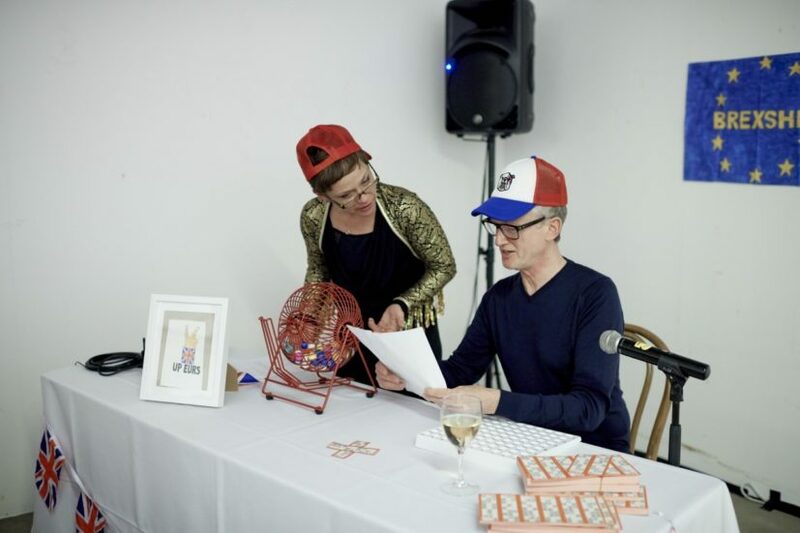 All proceeds from this event directly benefit the charitable mission of the Contemporary Art Society, supporting museums across the UK by donating great works of art. 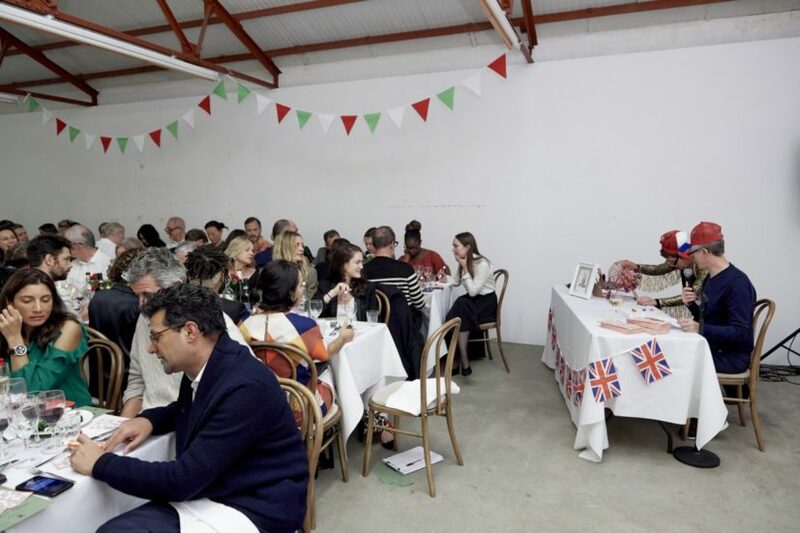 Previous Artist’s Tables have been hosted by artists including Antony Gormley, Isaac Julian, Haroon Mirza, Conrad Shawcross and Lynette Yiadom-Boakye. 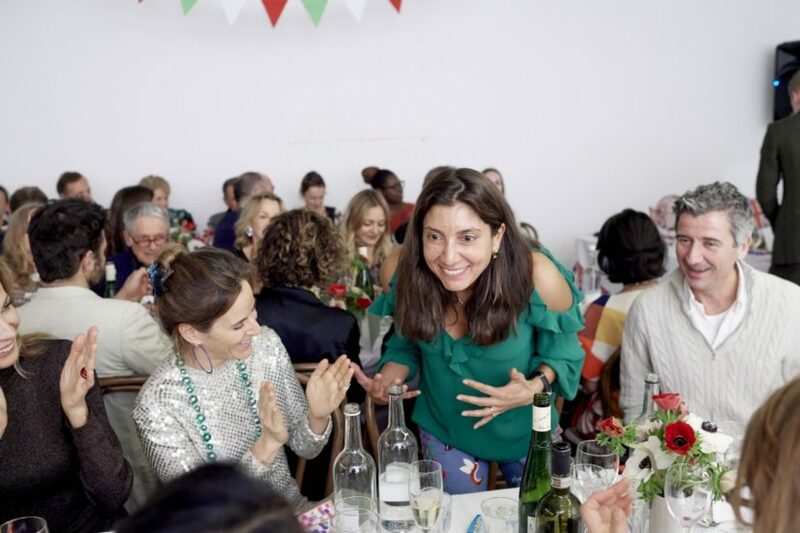 The committee for The Artist’s Table with Gillian Wearing and Michael Landy included: Philippa Bradley, Simone Brych Nourry, Sarah Elson, Margaret Erbe, Antje Géczy, Emma Goltz, Jill Hackel, Daria Kirsanova, Béatrice Lupton, Sanda Lwin, Valeria Napoleone, Flavia Nespetti, Katrina Reitman and Cathy Wills.